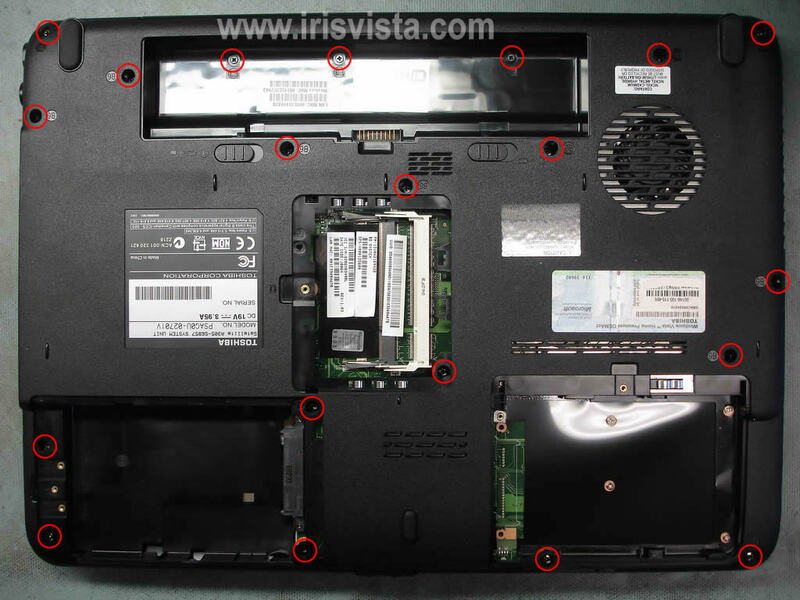 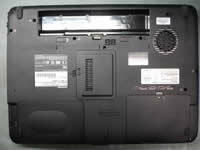 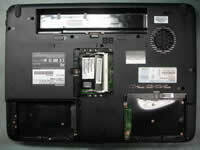 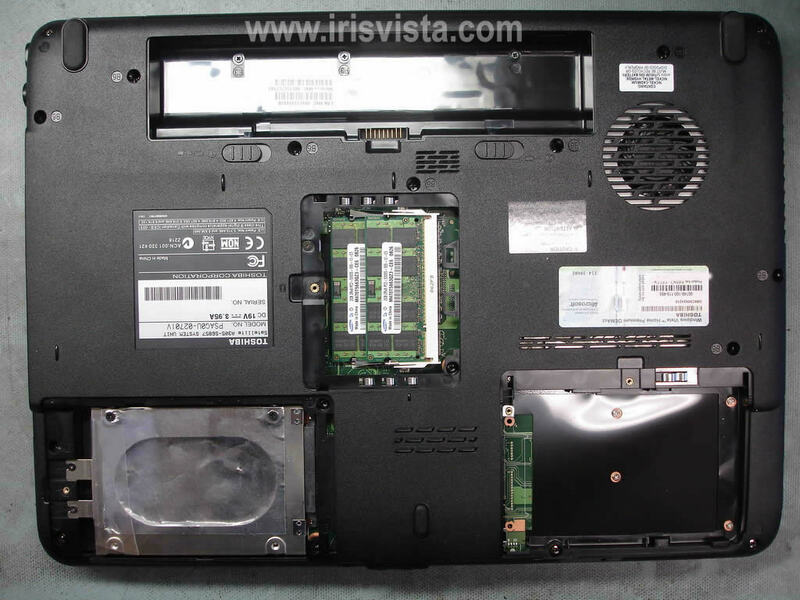 Start laptop disassembly with removing the battery. 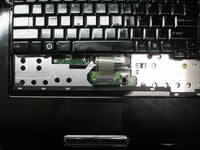 First, I'll remove the keyboard. 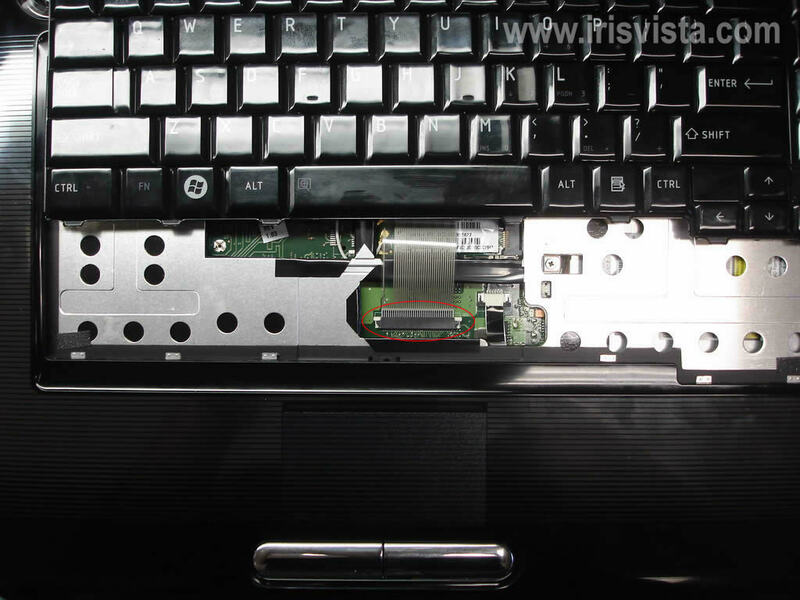 Carefully lift up the keyboard bezel with a small flathead screwdriver. 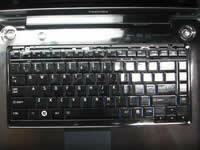 Carefully lift up the keyboard. 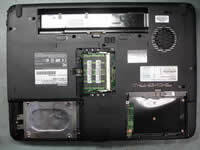 The keyboard is connected to the motherboard via a flat ribbon cable. 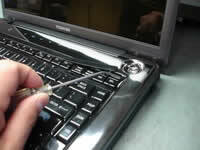 Before you can pull the cable, you have to unlock the keyboard. 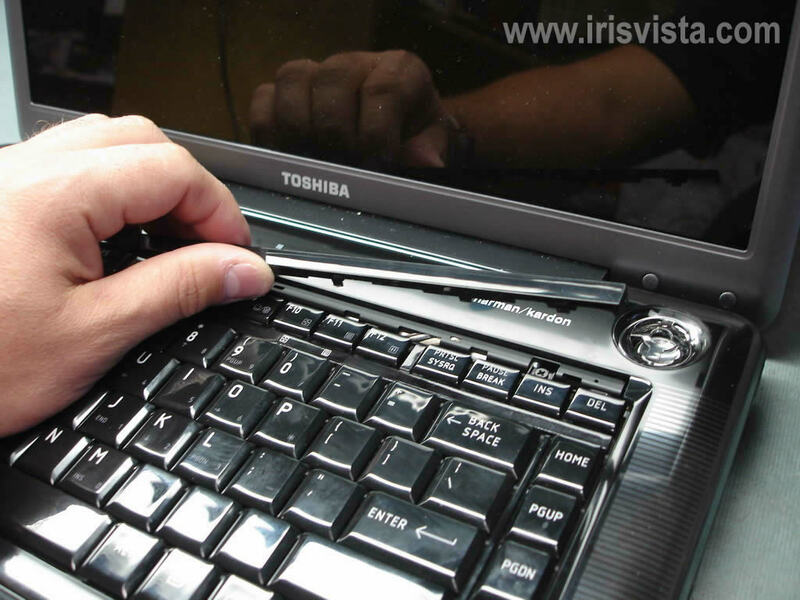 Using your finger nails carefully move the white connector tab about 2-3 millimeters up as it shown on the picture. Release the cable and remove the keyboard. 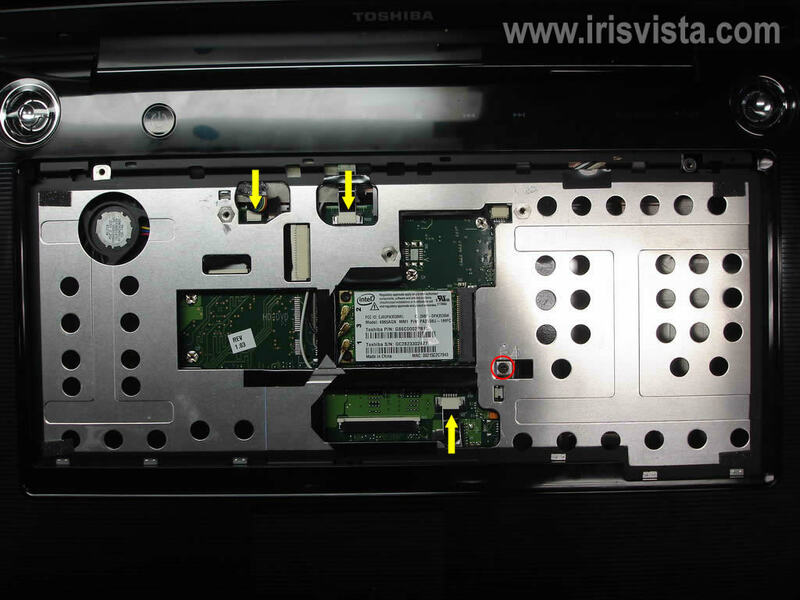 In order to disconnect the hard drive from the motherboard, you'll have to pull it to the left side. 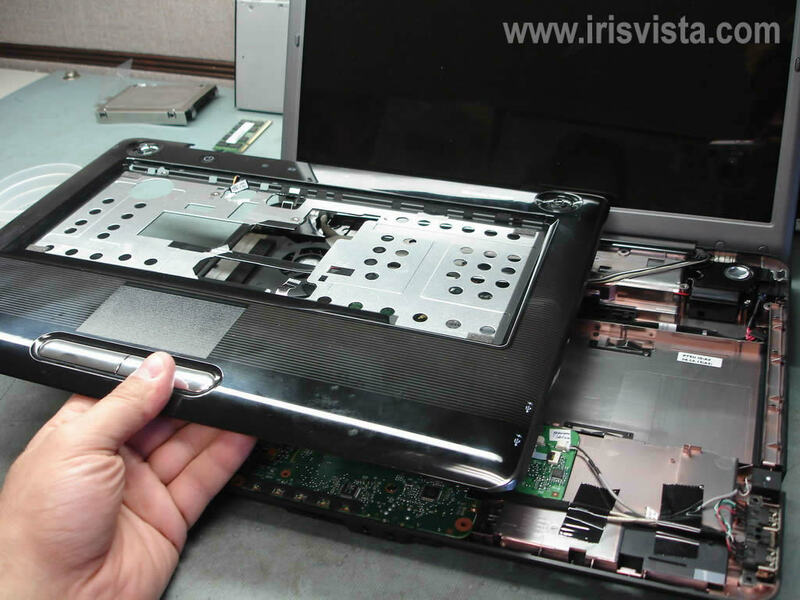 After the hard drive is disconnected, you can remove it from the laptop. 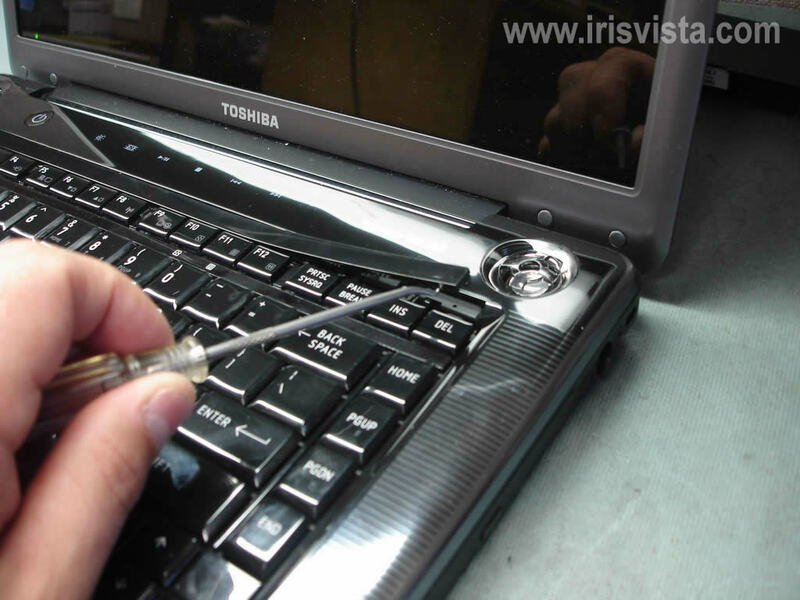 Push the DVD drive from the laptop with a small screwdriver. 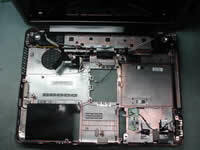 Remove one screw securing the top cover assembly. 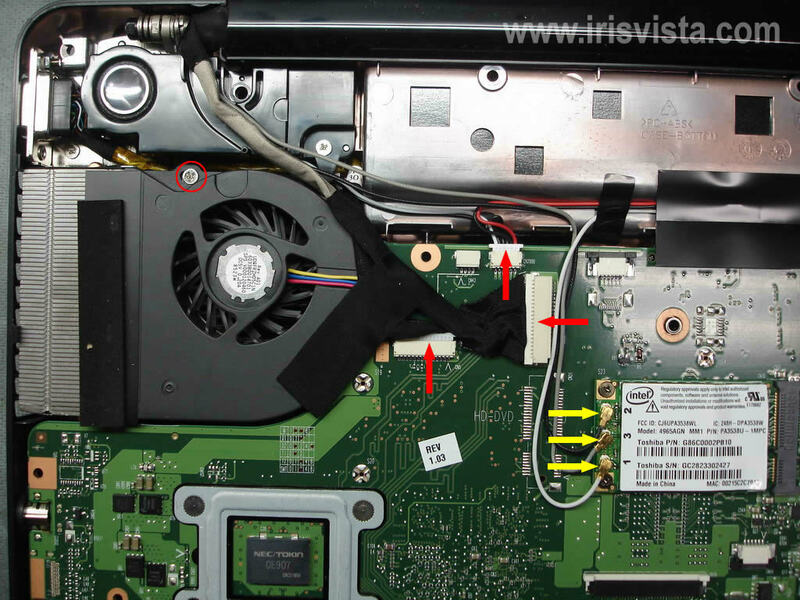 Disconnect three cables pointed with yellow arrows. 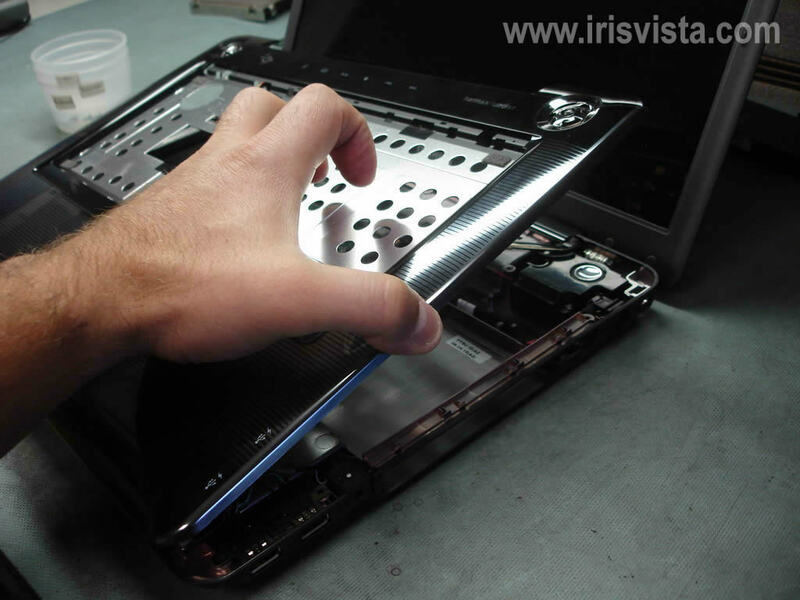 Now you can start separating the top cover assembly from the laptop base. 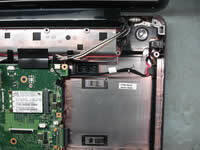 Remove sticky tape securing the cables. 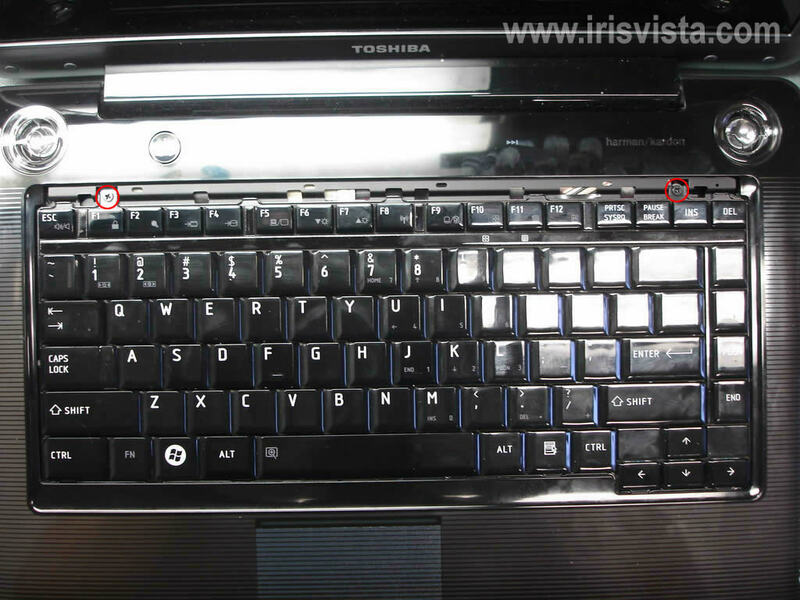 Disconnect three cable pointed with red arrows. 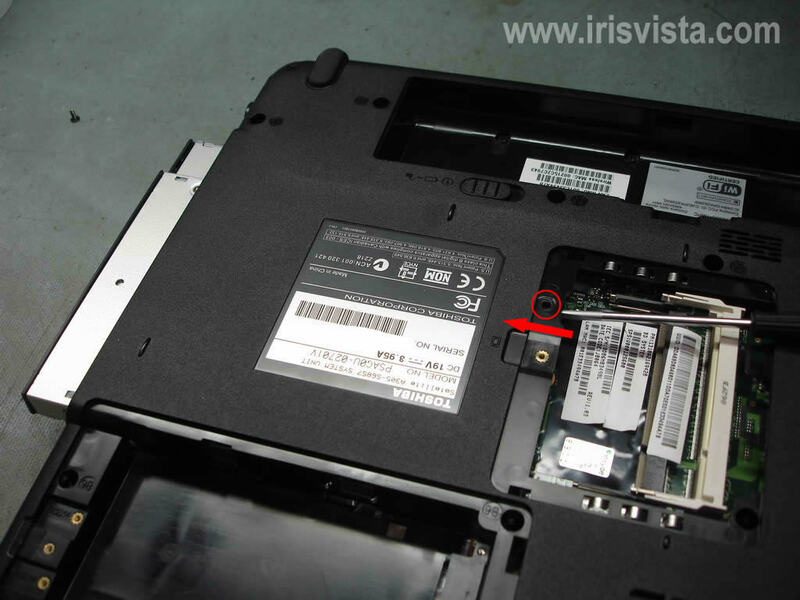 Disconnect three antenna cables (yellow arrows) from the wireless card. 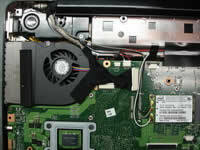 Remove one screw from the fan. Release the power jack harness, so it's not attached to the base assembly. 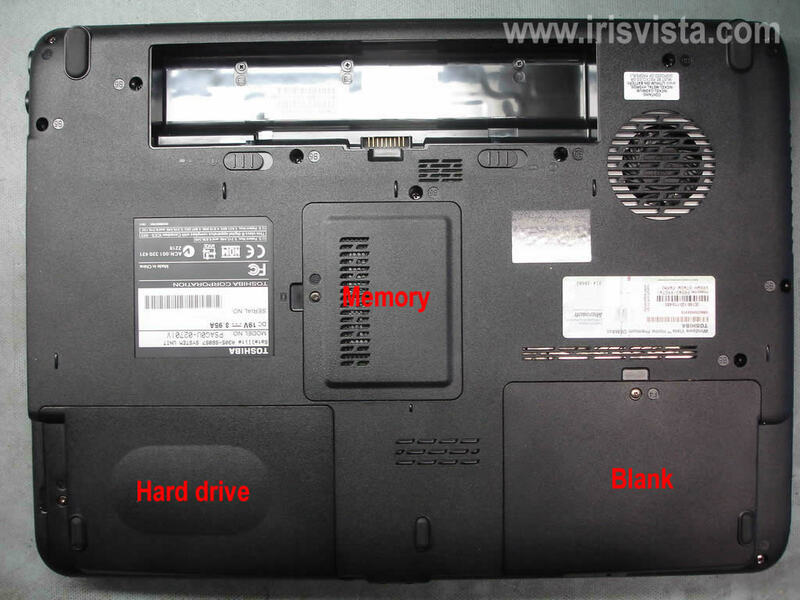 Unplug two cables pointed with white arrows. 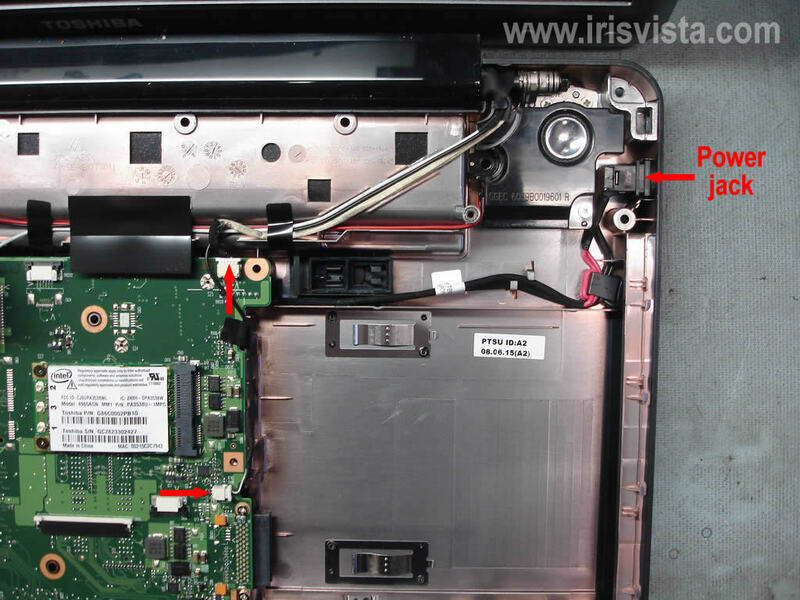 Unlock one connector pointed with the yellow arrow and disconnect the cable. 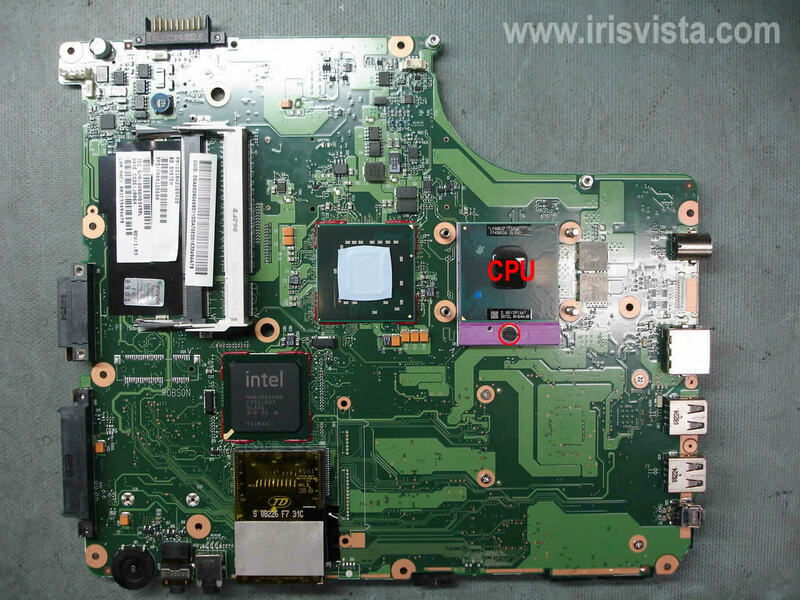 Start removing the motherboard from the right side as it shown on the picture. 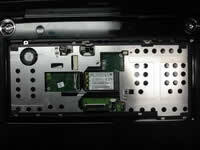 Remove the wireless card if you didn't do it before. NOTE: The RTC (CMOS) battery is permanently soldered to the motherboard. 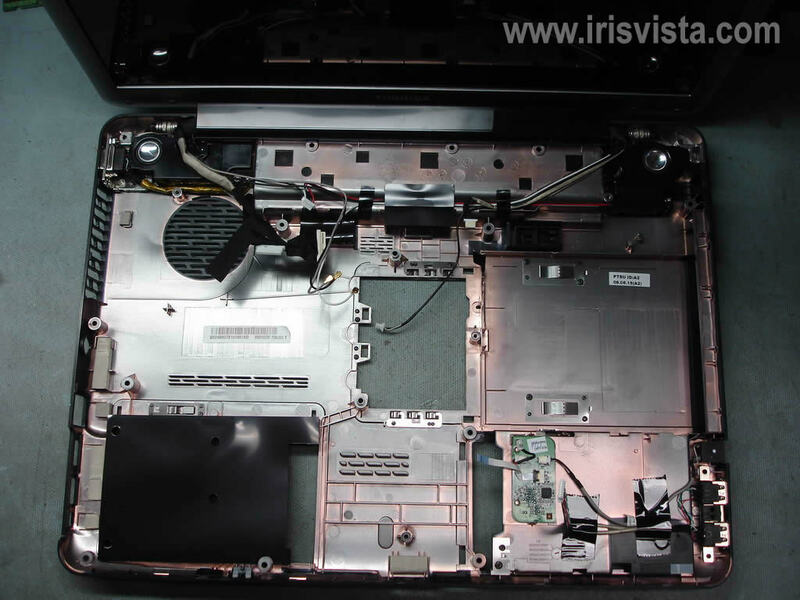 Unplug and remove the DC-IN power jack harness. 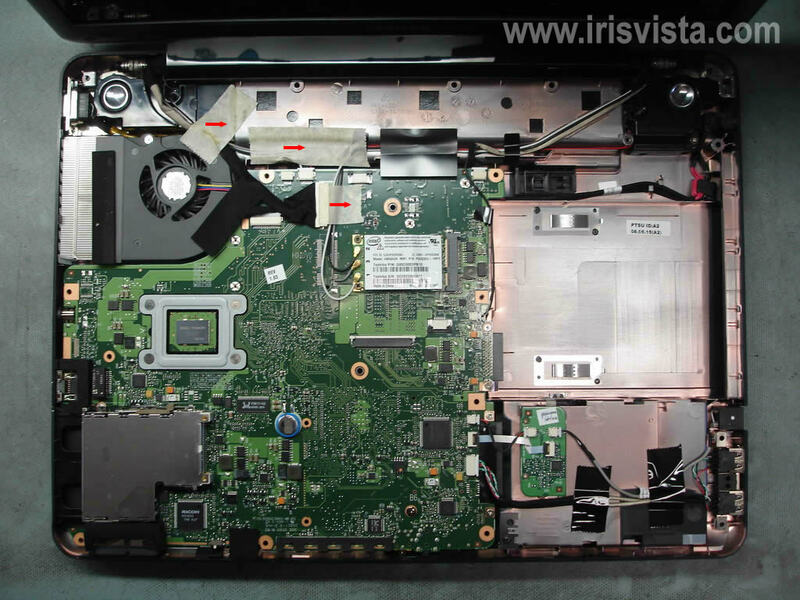 Disconnect the cooling fan from the motherboard. 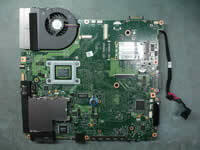 Remove the cooling module assembly. 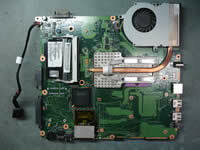 Unlock the CPU socket by turning the screw-lock into "Open" position.